When your TV or electronic device stops working, don’t just throw it away. Call In Home TV & Electronic Service 24/7. We will repair the device in your home; our mobile technology service will help save you money and reduce waste. With our service, you won’t have to worry about the hassle of hefting your large electronics to and from a repair shop. We come to you, fixing your broken down electronics in the comfort of your own home. 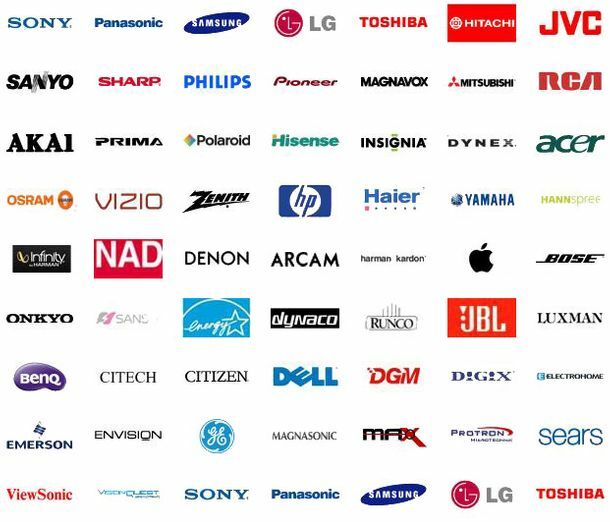 Over the past 24 years, our owner has worked as an electronic engineer, servicing all makes and models of TVs, projectors, laptops, and other electronic systems. He specializes in the repairs of TVs. Our owner’s experience, expertise, and dual degrees in Electronic Engineering and IT Engineering ensures quality repairs and service. People sometimes throw away their TV when all it needs is a lamp replacement – we believe in repairing and reusing. This is not only good for the environment, but good for your wallet too! Having your TV repaired not only saves you the expense of purchasing a brand new television, but it also decreases your impact on the environment. Manufacturing televisions requires materials, chemicals, and processes that can be harmful to the world around us. To save money and reduce harm of the environment, consider repairing your television first. We also service and sell lamps for every kind of DLP TV, with the best price and service available. View our replacement parts. Call 24 hours a day, 7 days a week to set up your repair appointment. A 180 day guarantee is offered on all our work.